There’s nothing like Fall in Upstate New York. It’s chilly, the leaves are gorgeous colors, and we can go apple picking. 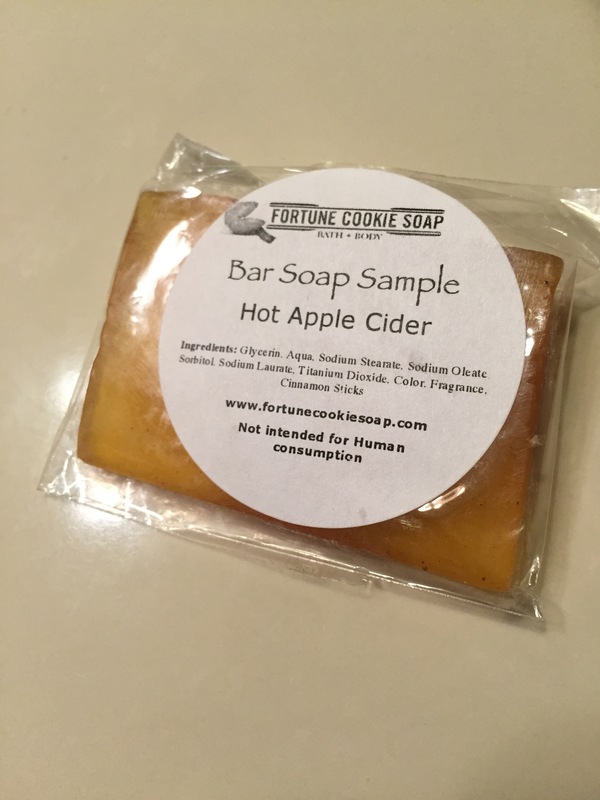 When I saw that one of my soap samples from Fortune Cookie Soap was Hot Apple Cider scented, I knew I would have to save that one until fall, and I’m so glad I did. Apple picking season is picking up, around here, and it’s phenomenal. You go out with your family, pick the size you want, fill your bag with apples, and head out. Usually there’s also a farm house nearby, where you can get frozen and hot apple cider, apple cider doughnuts, and every other treat you could dream of, made with apples. It’s amazing, and if you’ve never done it, I highly recommend it. Sadly, I don’t think I’ll be apple picking this year, because my schedule is so busy. Luckily, I had this soap sample. The Hot Apple Cider soap from FCS smells exactly like I wanted it to; it smells like I’ve bathed in apple cider! It’s a very warm, sweet scent, of apples and cinnamon, and I love it. 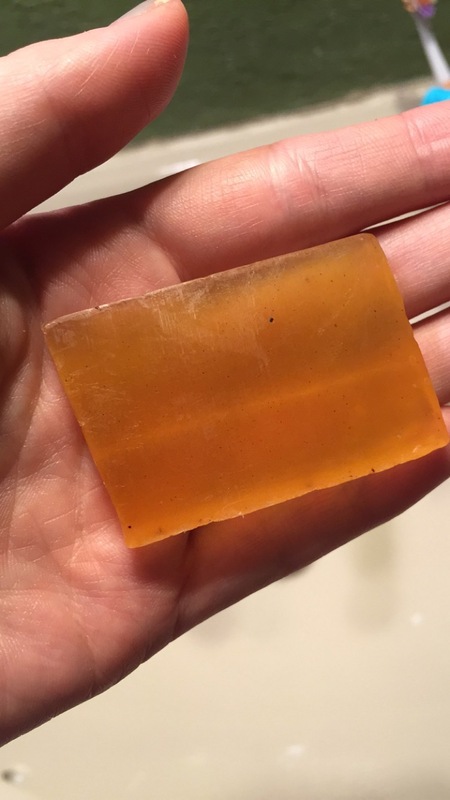 Unlike many of the soaps I got in my sample pack, Hot Apple Cider is still a soap that you can purchase! It’s $6.75 for a 6oz bar (that you can grab here), and I know I will be. The only problem I had with the soap is that it’s super slippery. It popped out of my hands numerous times in each shower, and I had to chase it around my bathtub. That being said, the sample lasted a full week, and left me smelling faintly of apples. Who wouldn’t want that? If you’re looking for a great fall scent, go get yourself a bar of Fortune Cookie Soap’s Hot Apple Cider soap. It’s phenomenal, leaves you smelling great, and makes your shower smell fantastic too! If you’re looking for a bit more bang for your buck, you can check out the Fortune Cookie Soap Sampler Pack, to try out 11 random bars of soap from FCS!